If you're at home watching the Olympics, you might have noticed a slightly bizarre trend: Olympians of pretty much every sport bite their medals. This rings true for gold, silver and bronze winners, but it begs the question: why bite? One explanation is that it's a test, sort of. Gold is a malleable metal, and even though Olympic medals haven't been made of real gold since 1912, one way to find out if something is pure gold or not is to quite literally sink your teeth into it. If it's real gold, your teeth should leave a mark. 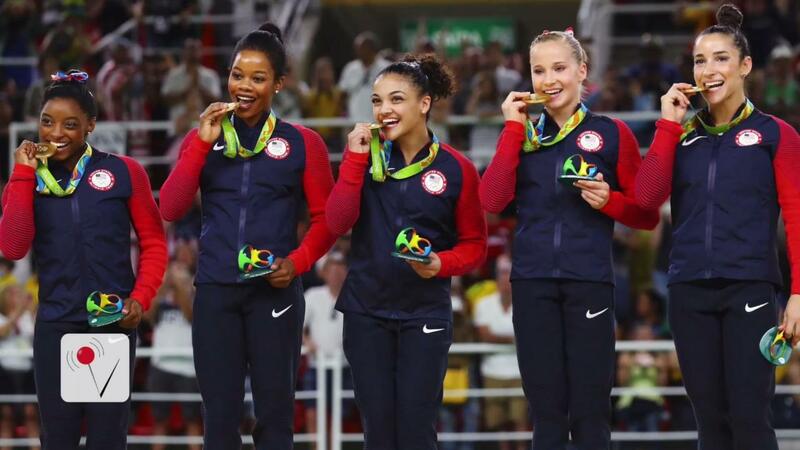 However, these days, athletes are more preoccupied with the symbolism the medals have for them, their families and their country than how much actual gold is in the medals. So, if you see it in Rio, it's just symbolic. Yes, athletes now simply bite their medals for the cameras. This explains why they look so graceful while doing it. David Wallechinsky, president of the International Society of Olympic Historians, told CNN, "It's become an obsession with the photographers." So, the athletes are soaking in their time in the spotlight and giving a whole new meaning to the term "metal mouth." Hey, after everything they've accomplished, these athletes deserve it!